Group Origins BV. Supplier from Netherlands. View Company. Greek Pulses produced and packaged in Greece (EU Product) Each type of pulse is selectively produced from a specific region in Greece. WHITE BEANS MEDIUM FROM 'VERMIO' 500GR ELEPHANT WHITE BEANS FROM W.MACEDONIA 500GR GIANT WHITE BEANS FROM W.MACEDONIA 500GR LARGE BEANS FROM 'CHRYSOUPOLI' 500GR BULGUR MEDIUM FROM 'THESSALIA' 500GR LARGE CHICKPEAS FROM 'HALKIDA'. 500GR LENTILS FROM 'THESSALIA' 500GR SPLIT PEAS 'FAVA' FROM 'CORINTH' 500GR MEDIUM GRAIN RICE 'GLACE' FROM 'AXIOS' 500GR LONG GRAIN WHITE RICE 'KITRINO' FROM 'AXIOS' 500GR LONG GRAIN 'CAROLINA' RICE FROM 'AXIOS' 500GR Send us a message to receive pricelists and specifications. The price you see in this listing is the average price of 1 package of 500g. According to the quantity we make discounts. Organic Herbal Tea (from the Greek Islands & Mountains) USDA Organic, ISO 22000:205, FDA, HACCP, BIO: Produced & Packaged in Greece Gold Taste Awards & International Awards CUBE - MIX SERIES - EUPHORIA CUBE - MIX SERIES - FANTASIA CUBE - MIX SERIES - PHILOXENIA CUBE - MIX SERIES - NOSTALGIA CUBE - MIX SERIES - AMBROSIA CUBE - MIX SERIES - UTOPIA CUBE - MIX SERIES - MELODIA CUBE - MIX SERIES - SYMPHONIA CUBE - SINGLES - OREGANO CUBE - SINGLES - THYME CUBE - SINGLES - ROSEMARY CUBE - SINGLES - SAGE CUBE - SINGLES - LAVENDER CUBE - SINGLES - HYSSOP CUBE - SINGLES - PENNYROYAL CUBE - SINGLES - LEMONBALM CUBE - SINGLES - ECHINACEA CUBE - SINGLES - MOUNTAIN TEA CUBE - SINGLES - MINT CUBE - SINGLES - LEMON VERBENA CRAFT SERIES - OREGANO CRAFT SERIES - THYME CRAFT SERIES - ROSEMARY CRAFT SERIES - SAGE CRAFT SERIES - LAVENDER CRAFT SERIES - HYSSOP CRAFT SERIES - PENNYROYAL CRAFT SERIES - LEMONBALM CRAFT SERIES - ECHINACEA CRAFT SERIES - MOUNTAIN TEA CRAFT SERIES - MINT CRAFT SERIES - LEMON VERBENA The Productive basis of our firm is located on the island of Naxos in Cyclades and in semi-mountainous areas of the municipality of Paeonia in central Macedonia. At present we cultivate in 100,000 m2 13 species of aromatic and medicinal herbs and 3 species of citrus fruits that we use in our blends. The herbs we cultivate at present are Oregano (Origanum vulgaris hirtum), Sage (Salvia officinalis), Rosemary (Rosmarinus officinalis), ThymeÎ¹ (Thymus vulgaris), Mountain Tea (Sideritis Scardica), Mint (Mentha piperita), Lemon Verbena (Aloysia citrodora), Lavender (Lavandula angustifolia), Echinacea (Echinacea purpurea), Pennyroyal (Mentha pulegium), Lemon Balm (Melissa officinalis), St Johnâ? ?s wort (Hypericum perforatum) and Hyssop (Hyssopus Officinalis), whereas the citrus species are orange trees, tangerine trees and lemon trees. All of our plants come from nursery with organic certification and our firm embodies at every step of production the criteria of EN ISO 22000:2005 Standard. Organic islands pursues the production of high quality products and therefore owns two units for processing and packaging fully equipped with custom-made machinery for drying, cleaning and packaging. We also have a distillery at the capacity of 600 litres. As a result of our commitment in achieving top results in all stages of production, Organic Islands has been awarded with 9 gold stars over the past three years and the excellence of â? ?Great Taste Producerâ?� in the Great Taste Awards competition. Olive Oil, virgin olive oil and virgin extra olive oil. 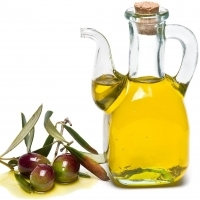 We can supply olive oil directly from the producers. The client can choose the packaging preferred. Ready to export. Prices very competitive, specially for big drums or flexitanks. Product from Spain. Minimum order: 20' container.